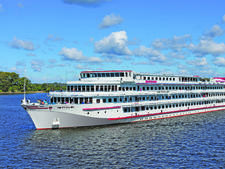 Nikolay Chernishevsky -- part of Vodohod’s river cruise boat fleet -- is a four-deck vessel that has been specifically designed to sail along European waterways. 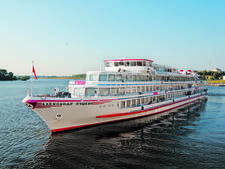 Named after a famous Russian democrat and philosopher, Nikolay Chernishevsky was built in Germany in 1981 and underwent a full refurbishment in 2012 to upgrade and modernize its onboard facilities. 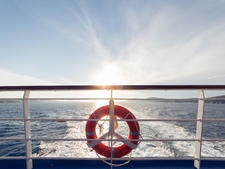 Nikolay Chernishevsky features all outside cabins with en suite bathrooms and air conditioning. 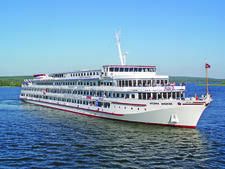 The ship can hold up to 254 passengers and has two restaurants -- one of which is also a bar – as well as a solarium, sauna, coffee bar and piano bar. 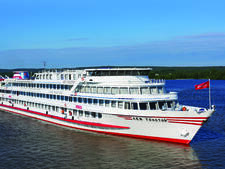 Onboard entertainment includes live performances of Russian folk music and classical music, as well as activities designed to introduce passengers to Russian culture and history, like lessons in Russian singing, dancing and nesting doll painting. 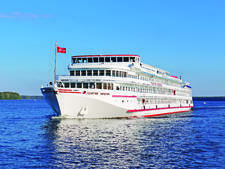 For a characteristic taste of Russia, passengers can also experience a Russian tea ceremony and vodka tasting. 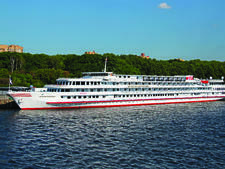 Nikolay Chernishevsky cruises along Russian waterways, such as the Volga River and Moscow canals. 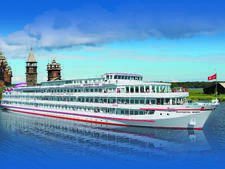 Shore excursions usually involve walking tours to see sights like architectural landmarks, cathedrals and museums. 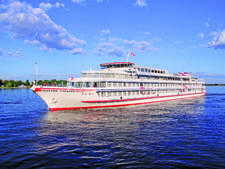 The two restaurants onboard Nikolay Chernishevsky offer European cuisine, combined with elements of Russian fare. Breakfast is a buffet meal, while lunch is a hearty affair that usually offers a traditional Russian soup, considered an essential staple on most local lunch menus. Dinners are often something of an event -- showcasing the food and colorful garb of various Russian regions.